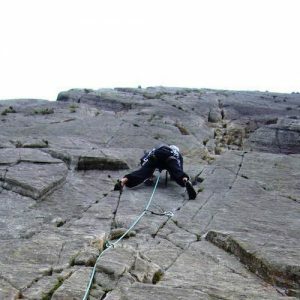 Moorland Adventure offer a number of the Mountain Training personal skills courses for new and improving hill walkers and those wishing to rock climb. Moorland Adventure are an approved MT course provider. These courses are nationally accredited and developed by Mountain Training. There are several courses as part of the scheme: including Hill Skills, Mountain Skills, Rock Climbing Introduction and Rock Climbing Intermediate. These courses are a practical introduction to the skills required to get started in hill walking, mountain walking and rock climbing. The courses aim to equip participants with the basic knowledge and essential safety skills required to start pursuing their own participation in hill, mountain walking and rock climbing as leisure time activities. The Hill Skills course is aimed at the beginner hill walker and ideal for those interested in developing a practical understanding of how to plan walks, become familiar with the use of a map, learn about the equipment required and also gain an understanding of the effects of weather, how to deal with emergencies and gain a valuable understanding of the upland environment. The course utilises countryside and moorland areas where the skills will be transferable to many popular walking areas of the UK and Ireland. Ideally, participants would have done some basic hill walking previously and have a reasonable level of fitness. Skills in map and compass, mountain weather forecasting, movement through steep ground, planning and preparation, emergency procedures, seasonal effects and the mountain environment all form the syllabus of this course. The course is run in the main high mountain areas of the UK and Ireland. This course is ideal for beginner climbers; those who have never climbed on rock and those with limited experience of climbing indoors. No previous experience is necessary as the course is designed to teach you the basics. Contact time: minimum 8 hours. What does the Rock Skills Introduction course cover? Background and Planning. An awareness of the types of places you can climb in the UK and Ireland, how to use guidebooks and mobile devices to find crags and routes, crag etiquette and the work of the mountaineering councils. Climbing Skills. Fundamental movement skills and climbing styles. Footwear and Equipment. Footwear and equipment selection and how to use the kit you choose. Technical Skills. Tying into a harness, belaying, spotting and how to abseil. Environmental Knowledge. The impact of climbers at the crag, ethics, access and environmental considerations for climbers. Hazards and Emergency Procedures. Identifying hazards, managing risk, understanding common injuries, how to get help and the role of Mountain Rescue and associated emergency services. Course duration: 1 day. Minimum age: 12 years. Contact time: minimum 16 hours. Have logged 10 routes on walls or outdoor crags; and have logged 10 belays of a fellow climber. What does the Rocks Skills Intermediate course cover? Climbing Skills. Warming up and injury avoidance, developing your movement skills and widening your repertoire of climbing moves. Footwear and Equipment. Rock boot fit, selecting the right equipment for improved performance and an introduction to climbing protection. Technical Skills. Building anchors, selecting runners, ropework, belaying, holding falls, lowering, seconding a route and personal abseiling. Environmental Knowledge. The impact of climbers at the crag, ethics, access and environmental considerations. Hazards and Emergency Procedures. Identifying hazards, managing risk when climbing, abseiling and bouldering, understanding common injuries, how to get help and the role of Mountain Rescue. Course duration: 2 days. Minimum age: 13 years. Contact us via the form below or ring 07870 693816 to discuss further and start your adventure!